So Ron Burgundy really struggles to pronounce my name. I don’t really understand why because there is a French equivalent and it’s not popular but its not uncommon (Megane). I also pronounce my name that way here just to make it easy on people. Anyways the way he says it is something like “Mye-gunn.” So after class the other day one little girl comes up to me and goes “est-ce que ‘my gun’ ca veut dire ‘mon pistolet’?” [does ‘my gun’ mean ‘my gun’] and I was like yeah that is the translation of that. Ron Burgundy lost it and was bent over laughing so hard he couldnt breathe. I was like yo Ron what is the dealio?? He goes “did you not realize that what she was asking was if your name means mon pistolet” [my gun in French] I was like seriously Ron what are you smoking? And then I realized that the way he pronounces my name kind of sounds like “My gun.” So I confused a child, a lot. Awesome. Moral of the story is, don’t name your kids weird things. No not really, the moral of the story is I need to listen to the chitlins better so I don’t unintentionally tell them lies. In other news, life has been good recently! It is full spring here and I am happily wandering around in summer sun dresses (with sweaters for modesty), enjoying the soleil and lovely temperatures. 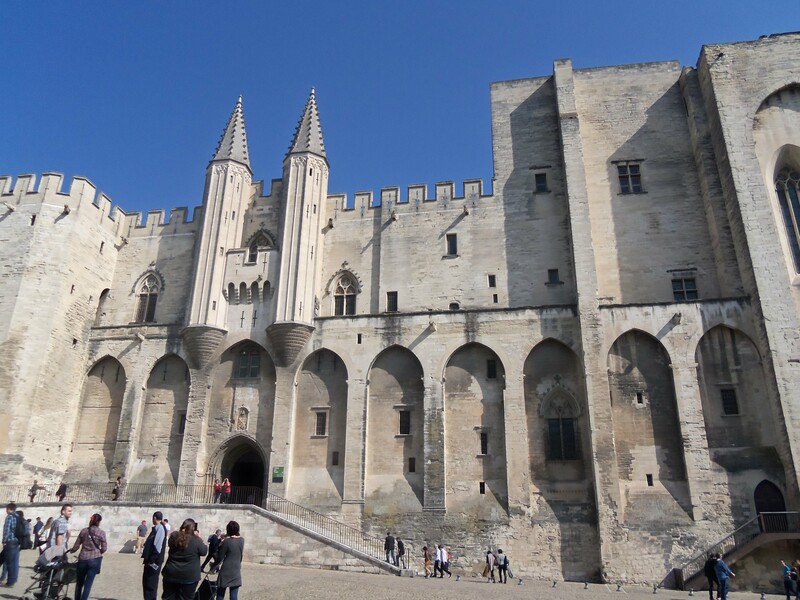 Last weekend I spent the day in Avignon exploring and seeing the sights. 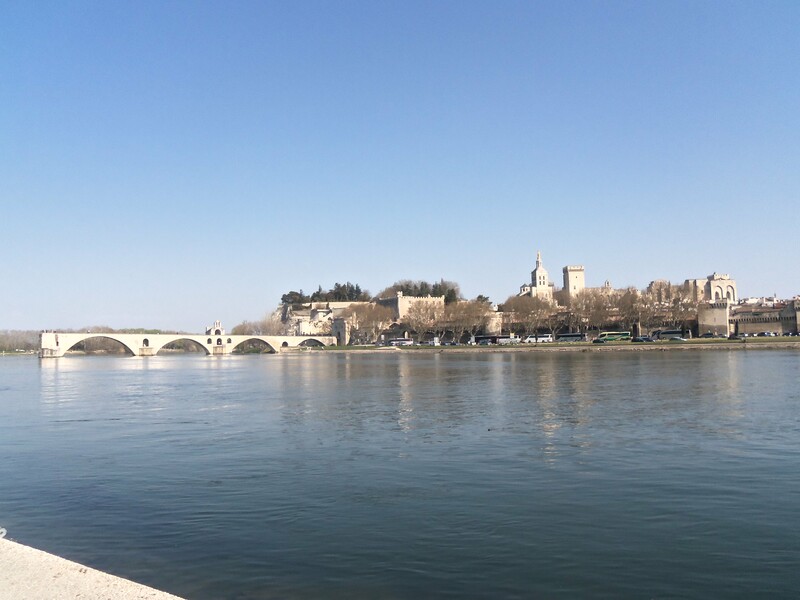 I did not sing on the Pont d’Avignon unfortunately because it cost like 6 euros entrance which seems a little extreme for a bridge that is only half way across a river… Anyways I had a wonderful wonderful time! 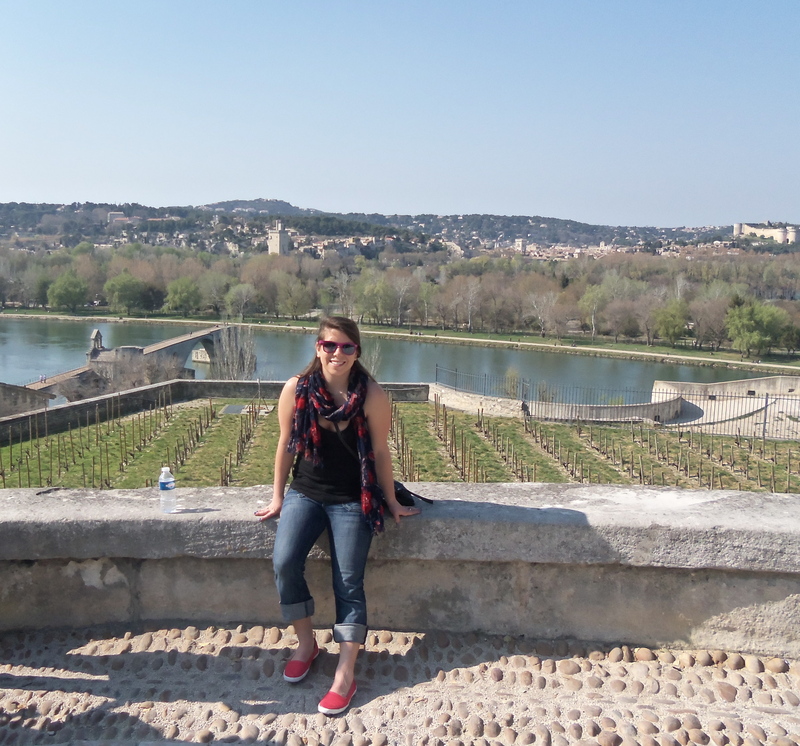 Avignon was great. I even got a little sun burned on my shoulders and saw an old fat man in cut off jean shorts soooo… that was the cherry on top. Also I FINALLY got all my OFII dramz sorted out. I finally went and got the stamp for my passport. It seems silly though because I’m leaving in 6 weeks (triste!!!) even though I don’t want to. I’m finally starting to feel settled in Nyons, to have friends, to feel like I know what life is here and to have to leave so soon… It breaks my heart it really does. But i’ll find out this month if I got re-accepted to the Assistant Program which I’m hoping I did. Not necessarily here in Nyons, but in France in general. I’d be happy. 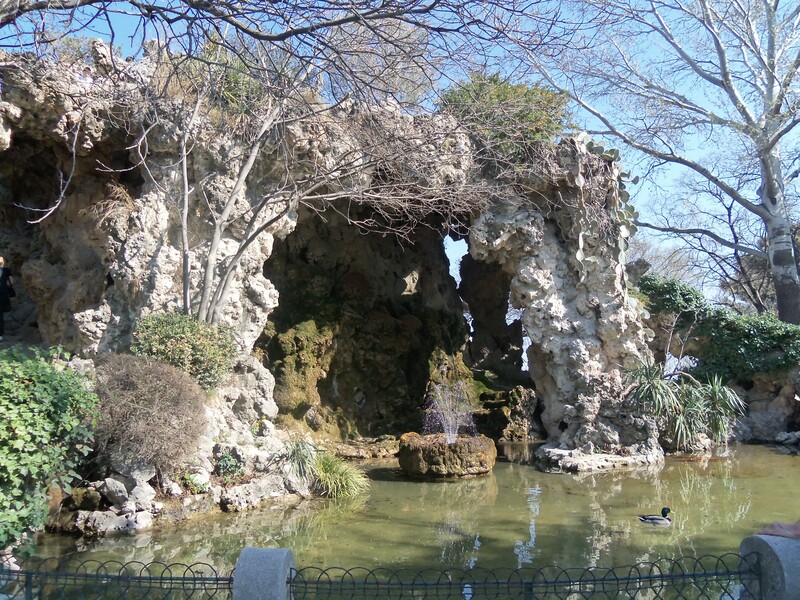 Today, I bien profité (enjoyed) the gorgeous day here in Nyons by reading in the park. I read for an hour and then promptly fell asleep on the bench but, it is the thought/effort that counts right? Also if anyone can help me explain what “swag” is, that would be awesome. I can’t seem to figure out how to explain what it is…. Wonderful weekend wishes to everyone!